Here’s another collaboration! This time with Arie J and NyNy. I’m in the regular type and NyNy is italicized. 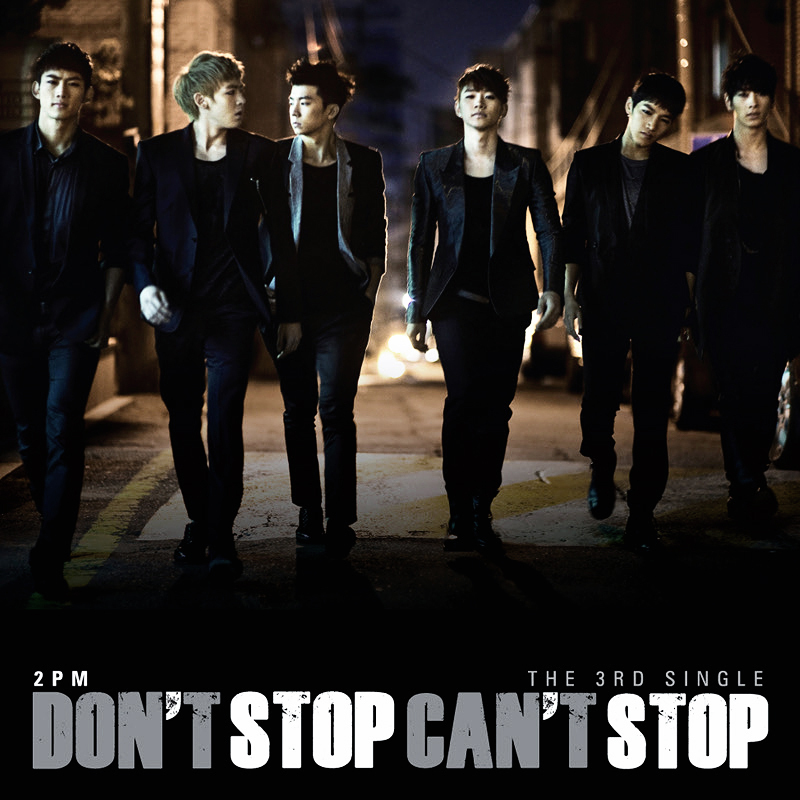 2PM released this mini album after the whole ordeal with Jay leaving the group. I honestly don’t remember this because I wasn’t really paying attention to K-pop at the time , I was more preoccupied with J-pop. Despite what happened in February, 2PM still made a comeback against all odds. What can I say? They are brave. I come back from holiday and didn’t know what to say really. I guess they were going to make a comeback sooner but I would have expected it to be later this year. The album starts off with Don’t Stop Can’t Stop. This song is what they need more of; real raw emotion and ‘I don’t care’ attitude. I think if this was promoted instead of Without U, some of the fans would’ve welcomed them warmly. This song in my opinion seemed to have a message to anti’s and ex-Hottests who bashed them from the lyrics: “You wanna see me fall right? (Haters)…I ain’t never going down without a fight.” It’s as if Khun is saying that despite the people that left and grew to hate them that they will continue to be 2PM and go on with their lives.“Without U does have some nice elements. The piano is especially nice and it has a pretty good melody. This song kind of reflects my feelings towards 2PM but again, there’s something about the lyrics that make me think of Jay but it can’t be right. And is it me or does JYP write too many heartbreaking songs? I really want to kick JYP in the face right now. 마자/As Soon As sounds like every other electro song 2PM has put out. Heartbeat, Tired of Waiting, etc. were probably the basis for this song. It’s nothing too different, but I must say Junsu’s vocals are really good. This song…is like part 3 of I Hate You – beat-wise, I mean. If you listen to the chorus of I Hate You, then Tired of Waiting then you listen to this, you will understand what I mean. Even Taecyeon’s rap is similar to both previous songs. What?! A ballad from 2PM? 목숨을 건다/I’m Risking My Life is like a ballad and guess what? All the members are singing. Yes, even Taecyeon and Chansung. I wouldn’t recommend this song just to listen to it, but if you wonder what each member sounds like singing, then here you go! When Taec sings, I cringe but this time, I really like it. This song is so sad when you listen to the lyrics. I have no words to describe it. Overall, the mini album was alright. The timing wasn’t exactly perfect or anything, but it was alright. I give this a 3.5/5. I’m never going down without a fight, aight?